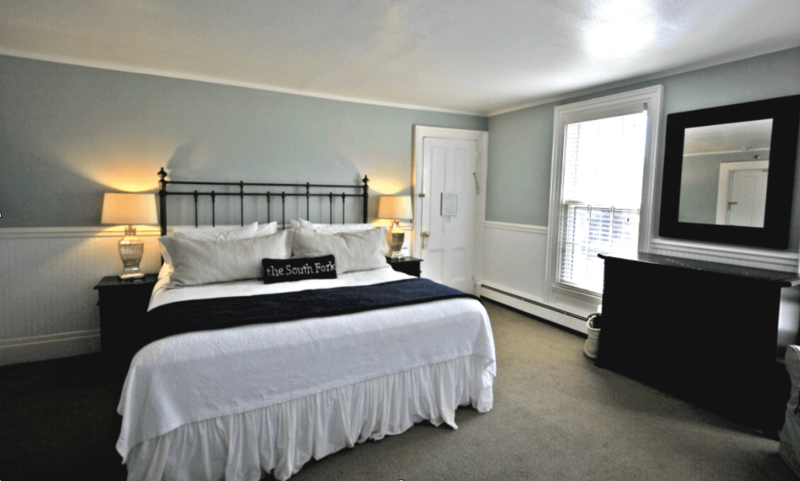 Room Two, with a King-size bed spans 256 square feet with views overlooking Town Pond. 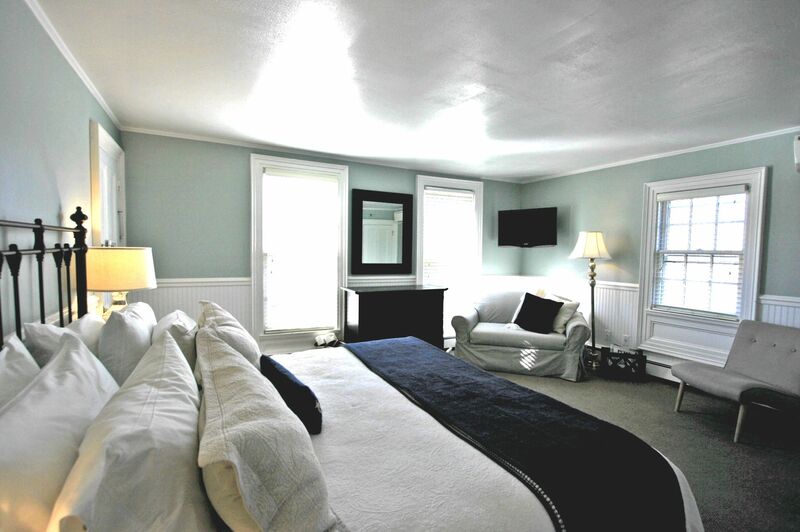 Utilizing its loveseat sleeper, his room can accommodate a maximum of 3 adults or 2 adults & 1 child. 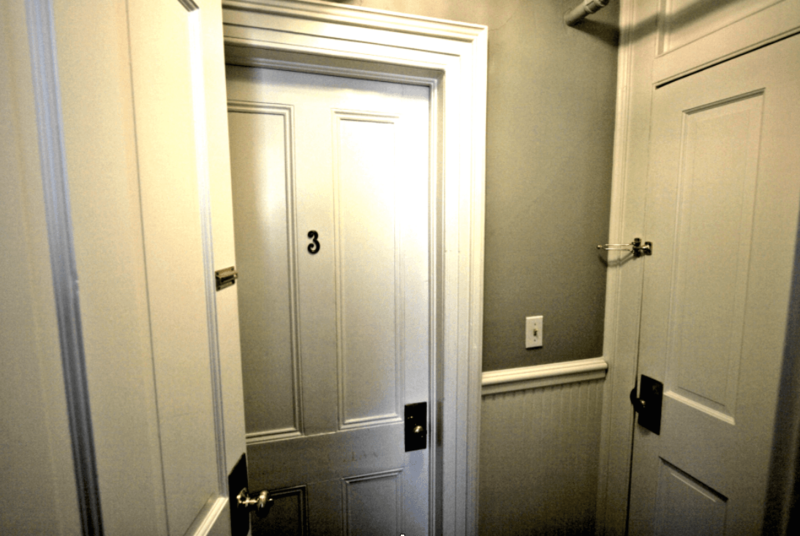 This room connects with Room Three, via a private entryway. 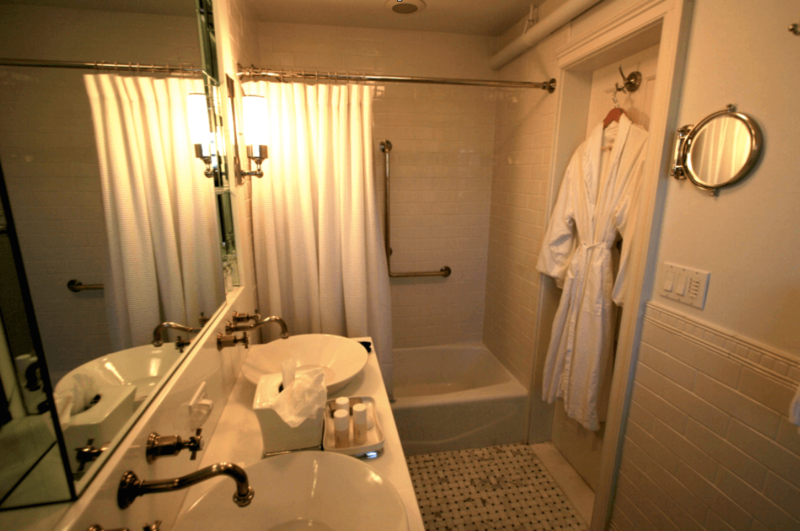 This is our largest single room.